Kolkata: The Strike struggle in West Bengal had to be conducted against odds and terror created by the TMC government and the ruling party. Mamata Banerjee administration has the distinction of being the only government which had declared war against the general strike. The state government issued a circular for the state government employees threatening them with ‘dies non’ and stoppage of salary. Uniquely, the state government has also declared that the day prior to the strike day and the next working day would be counted within this instruction. This included all teachers, municipal staff and all those who are paid from treasury. The state government and municipal corporations run by the TMC had initiated massive advertisement campaign against the strike in media, and in streets. Public money in millions of rupees was spent on hoardings, banners and electronic media advertisements. For the last few days before the strike, TMC activists roamed in localities and threatened shopkeepers to remain open on the strike day. Otherwise, shops will not be allowed to open at all forever, they threatened. Transport workers – private bus, taxi, auto rickshaws- were threatened and many of them were forcefully brought from home to run their vehicles. Civic police and TMC workers were sent to houses of government employees and teachers to warn them. Police rang Left trade union leaders in Birbhum and other districts not to come out on streets on the day of strike. Rallies and campaigns in support of strike were attacked in many parts of the state. In Haldia, such a rally was attacked by police even when Dr. Surjya Kanta Misra was leading it. On September 1, a procession of BPMO was attacked by police in Medinipore town. CITU leader and CPI(M) state secretariat member Dipak Sarkar, CPI(M) district secretary Tarun Roy and others were injured in the attack. Similar attack was launched in industrial area of Gardenreach. Trade Union leaders in the state had to declare that if the state government wants a war to thwart the strike, let it be. They called upon the workers to exert their right of struggle resisting attempts to impose violence on them. Braving this attack, the strike started on a high note from the morning. Striking workers, Left activists were on the road everywhere. Splash of Red flags overwhelmed in streets, including Kolkata. Surjyakanta Misra, Biman Basu and other leading Left leaders led processions in Kolkata. Police started to stop these processions in Kolkata and the districts. Earlier, police used to intervene in road blockades. But on September 2, police blocked normal processions and began to arrest the leaders. In Siliguri, TU leaders were picked up in the morning. When a protest rally was organised, CPI(M) leaders including mayor of Siliguri Corporation, Ashok Bhattacharya and CPI(M) Darjeeling district secretary Jibesh Sarkar were arrested. 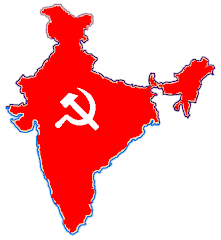 CPI(M) district level leaders were arrested in Kolkata. More than 250 strikers were arrested in the state. Rallies and street corner meetings were attacked in Ranigunje, Bankura, Coochbehar, Dhulian, Kalchini. Strike received a massive response in Durgapur-Asansol-Ranigunje industrial zone. Most industries, coal mines, transport remained closed. Most of the tea gardens in Terai and Dooars were closed. Police entered gardens to break strike even without informing authorities. In one such case in New Land garden in Kumargram, the workers who were not participating in the strike too got infuriated by police action and joined in the strike. Almost all jute mills in North 24 Parganas, Howrah and Hooghly were closed. In few factories, TMC forced workers to open but no production could be managed. Beedi factories, mainly in Murshidabad were totally closed. Stone crushing factories, mainly in Birbhum were fully closed. Banks and Insurance, central government offices were totally closed throughout the state. Bank strikers were arrested in Howrah. The industrial city of Haldia responded extremely well. In Kolkata, commercial complexes in business areas were closed. Kolkata Port too witnessed massive strike. Oil sector witnessed 100 percent strike. Construction workers desisted from attending work, stopping work in numerous projects. Administration forced buses to ply in Kolkata but with thin traffic. In districts, private transport was thin and gradually withdrawn as there were very few passengers. Kolkata, Jadavpur, Presidency universities were closed.